Takedowns, locks, chokes and other submissions seem to be with the rise of MMA indespensable part of the arsenal of the modern all-round fighter. 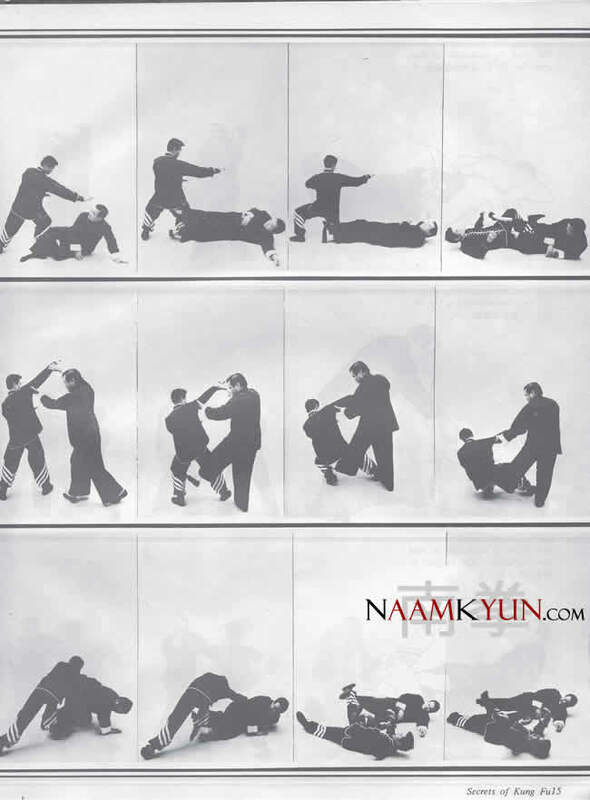 There is a saying in Chinese martial arts: Tek, Da, Seut, Na – Kicking, Striking, Wrestling and Locking. 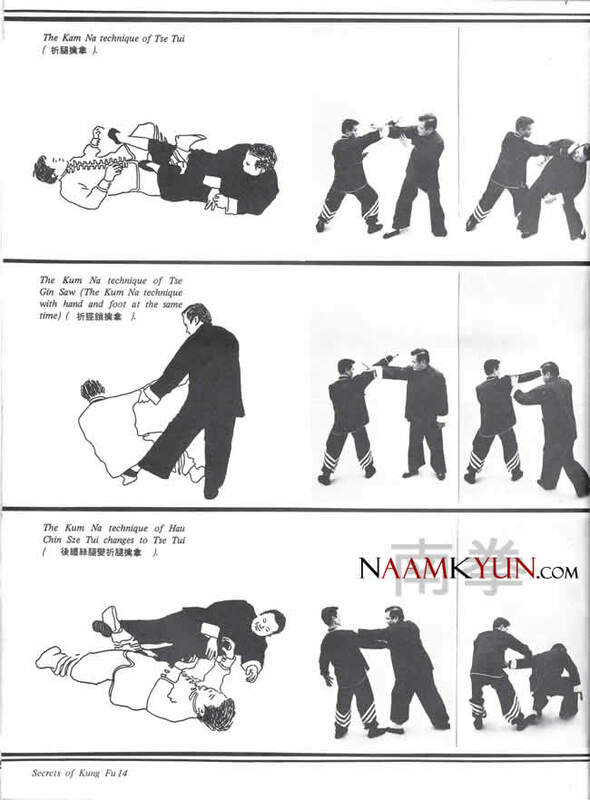 Chinese-Mongolian wrestling has very profound throws and takedowns, many other Kung Fu styles have a very extensive arsenal of stand up locking techniques and submisisons, so called Kam Na Faat (in Mandarin Qin Na Fa), eg. Eagle Claw (Ying Jaau Paai). 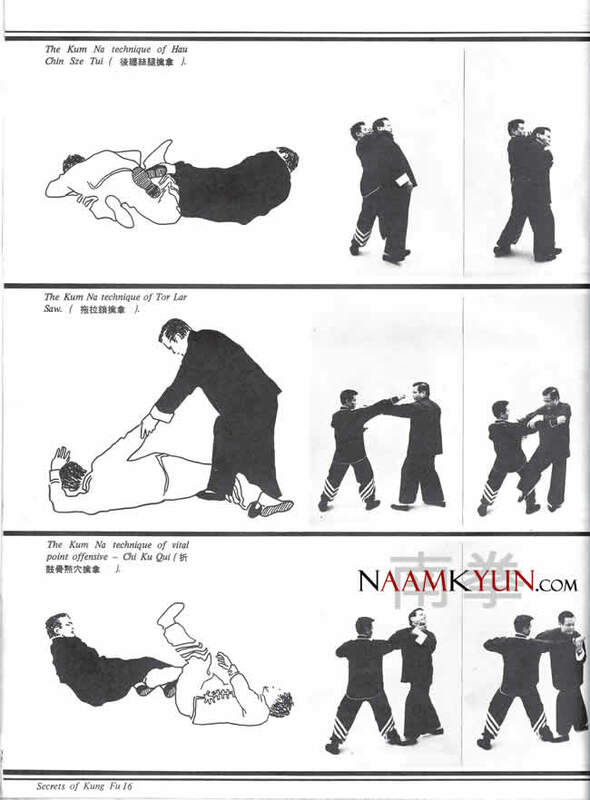 How about grappling and ground fighting in Kung Fu? Very frequent topic in TCMA circles. 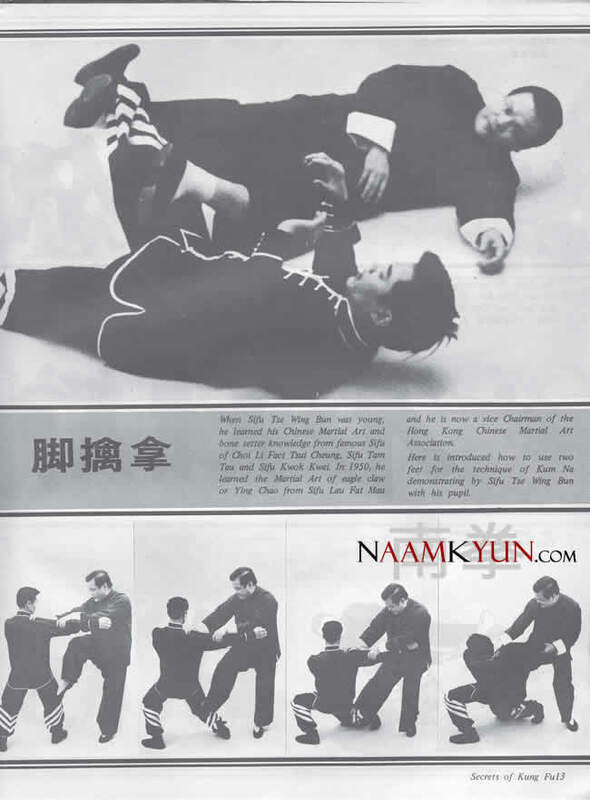 As we will see in the following articles that will be published in the future on the NaamKyun.com server, some Chinese martial arts indeed do have ground fighting and grappling techniques. 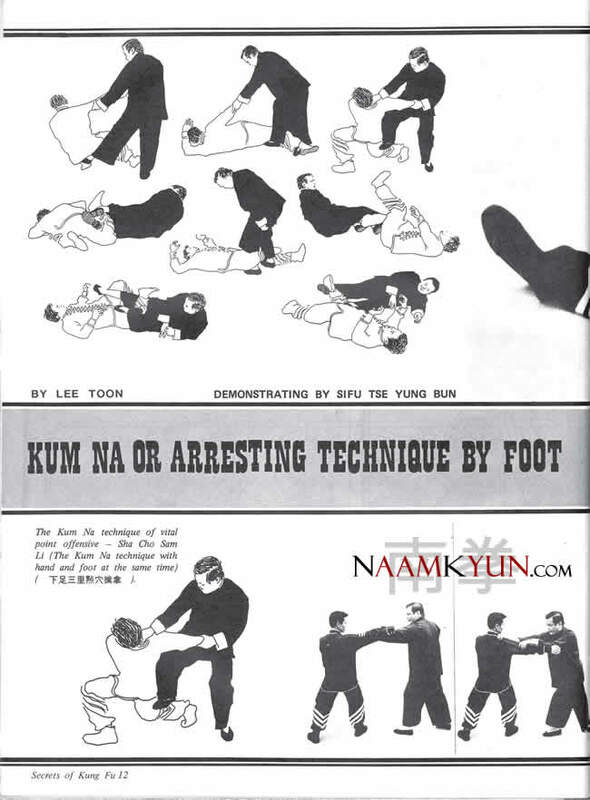 For now please check out the first example – an interesting article about foot locks, ankle locks, kneebars and similar leg submissions from and old issue of Secrets of Kung Fu. 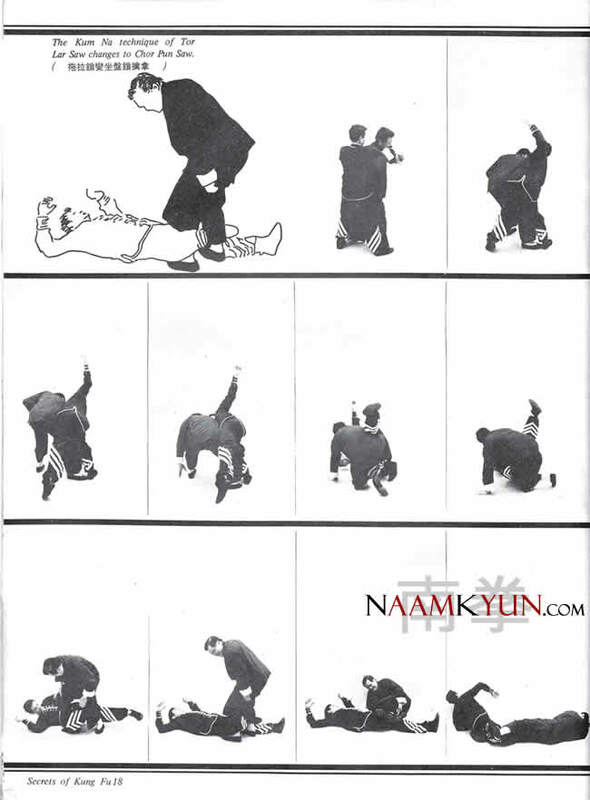 The Southern animal style of Daoyin that Paulie Zink teaches may be the most comprehensive training and conditioning for ground fighting anywhere. All the stuff I see in MMA is trained in this system. 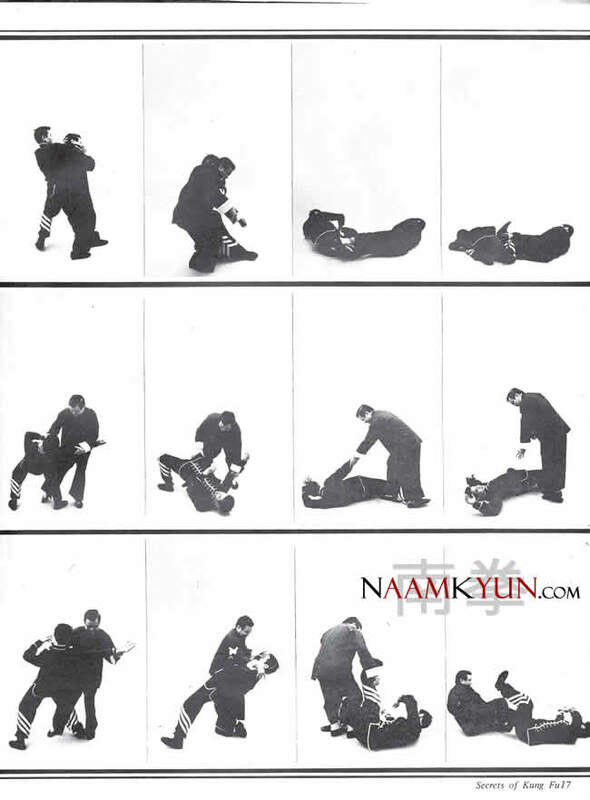 The dog for instance has strategies for ground kicking while rolling, plus prone knee and head attacks. The pig trains escapes and reversals. The crab trains locks and triangles. There are many more. Since it is done on a hard surface, all that banging and rolling is conditioning, in addition all the animals jump or run.